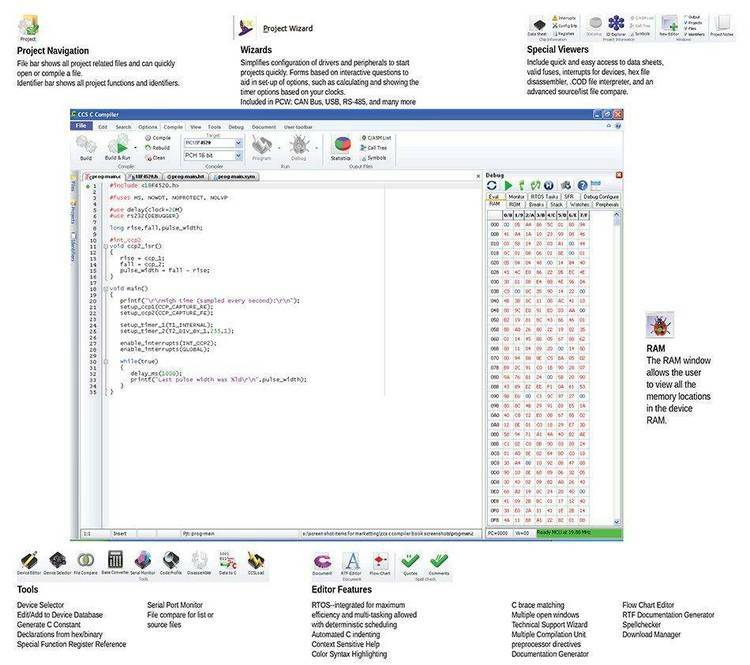 Micro-C compiler for embedded microcontrollers. functions necessary for code generation by the compiler. *.ASM files in the LIBCF subdirectory for examples of assembly programming. NOTE: The ".C" example source files use TAB stops at 4 character intervals. the command '8h' from within the editor. C Compiler: 250 source lines, 50 concurrent symbol definitions. Assembler : 3000 source lines, 5000 bytes of symbol table space. Simulator : No hardware interface, Port option, or serial redirection. be somewhat slower than on most "real" microprocessors. * The C-FLEA has no interrupt capability or special function registers. ** MONxx functionality is provided by the included C-FLEA simulator. Standard developers kits do NOT include a simulator. and All rights to it are reserved. of the software is prohibited. - The archive must be presented in its original form, without modification. they upgrade to the current release (which I will provide).